You are INVITED to "The Last Straw!" Project Expo Thursday, Feb. 7 at 6:00PM! See the documentary movie STRAWS that inspired the project! GTMS students from Kimberly St. George and Ashley Ashcraft’s 6th grade classes have been very successful with their “The Last Straw” project co-sponsored with Jessica M. Travis, library media specialist. Because of their project’s “Skip the Plastic Straw” campaign, 2 Windsor restaurants have reduced their plastic straw use and by the end of the week, Jan. 25, there will be no plastic straws in Isle of Wight County Schools. Please come to "The Last Straw" project expo February 7 that features a screening of the documentary STRAWS that inspired the project. Please click the image above to learn more. 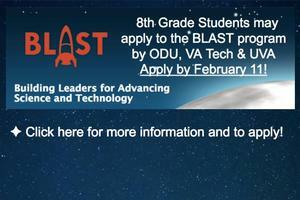 BLAST Summer Program for 8th Grade Students! Apply Now! ODU, Virginia Tech and UVA offer a summer STEM program for 8th grade students with a C or better average. 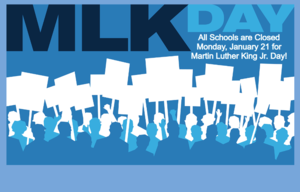 The program is a 4-day, 3-night on campus program at either ODU, Virginia Teach or UVA depending on the dates selected. Click above to apply. 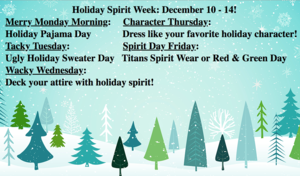 Holiday Spirit Week: December 10-14! Students should show their holiday spirit and dress to express each day's holiday theme for Holiday Spirit Week: December 10-14! 8th Grade Students Should Apply Now to the Governor's School for the Arts! The Governor's School for the Arts is now accepting applications from 8th grade students for next year's admission. The deadline to apply is December 14th. Please click the image above to apply. 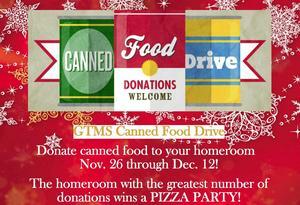 GTMS Canned Food Drive: Nov. 26 through Dec. 12! Students and their families are asked to please donate canned food goods to their homerooms during the GTMS Canned Food Drive Monday, November 26 through Wednesday, December 12. The homeroom with the most donated canned food goods will win a pizza party for Friday, December 14! Please donate to help our Titans show kindness and generosity for the holidays. 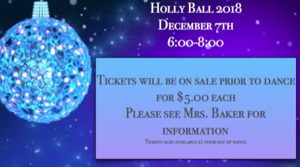 GTMS students are invited to the Holly Ball dance Friday, December 7 from 6:00pm to 8:00pm. Come out and enjoy the festive fun! 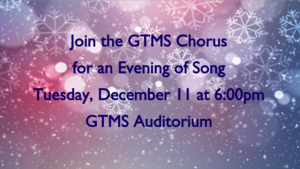 Please join us for the Chorus Concert Tuesday, December 11 at 6:00pm here in the GTMS auditorium.